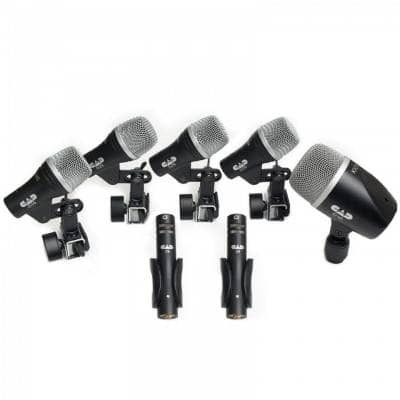 An essential all in one recording and performance solution for drummers! 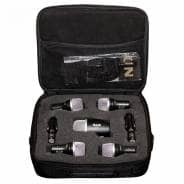 Containing: 3x D29 Dynamic Tom Microphones, 1x D19 Dynamic Snare Microphone, 1x D20 Dynamic Kick Drum Microphone and 2x C9 Overhead condenser microphones! 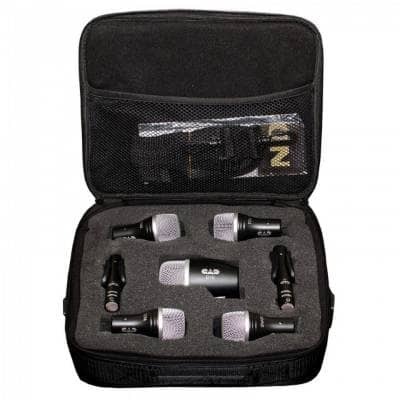 Capture the essence of your drum kit with this essential kit! 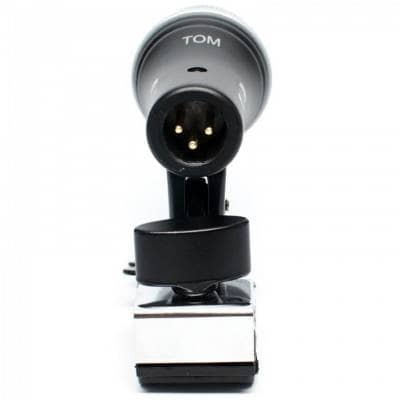 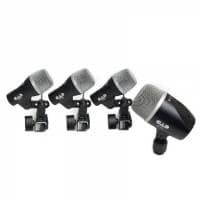 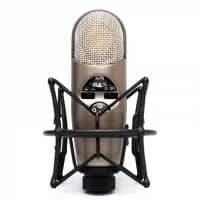 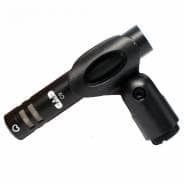 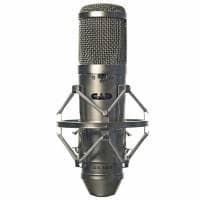 A cardioid microphone specifically designed for drum overheads and acoustic instruments. 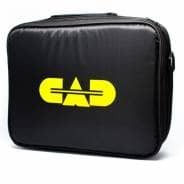 With a high-frequency response and cardioid polar pattern, you can be assured all elements of your drums are captured effortlessly! 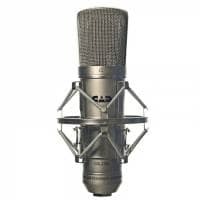 Perfect for overhead recording or hi-hats, the C9 microphone, are rapidly becoming an industry staple for drum recording. 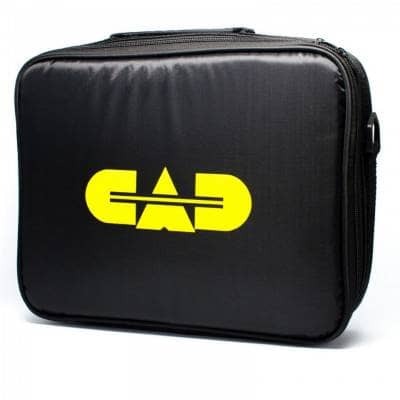 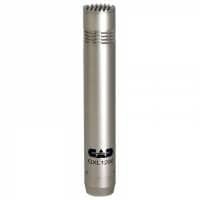 The CAD Microphones D29 is specifically designed for the miking of tom drums. With its cardioid polar pattern and moving coil, the D29 provides excellent off-axis rejection for clarity, essential for studio recordings and live stage performances! The CAD Microphones D19 Dynamic Microphone is specifically designed for miking up percussive elements of your drum kit. 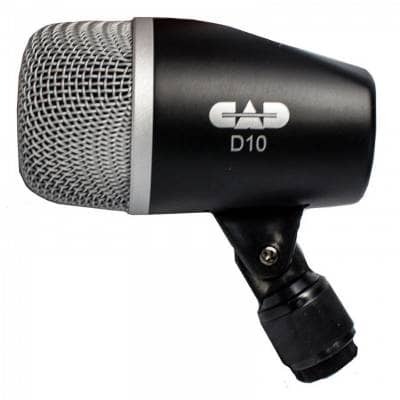 With a super-cardioid polar pattern & moving coil, make the D19, essential in any producer's toolbox! Specifically designed for recording snare drums, the D19 captures every snare hit and rim shot that you can think of! 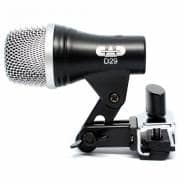 The D20 microphone is a perfect alternative to the AKG D112, specifically designed to accurately capture the low end of your drum kit! 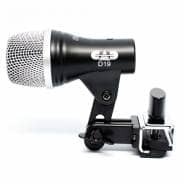 With an extremely wide frequency range, cardioid pickup pattern & moving coil set up, guaranteed low end presence whilst recording your kick drum tracks!